Cisar Law Firm - knows the law and has the resources and experience to successfully defend cases . . . 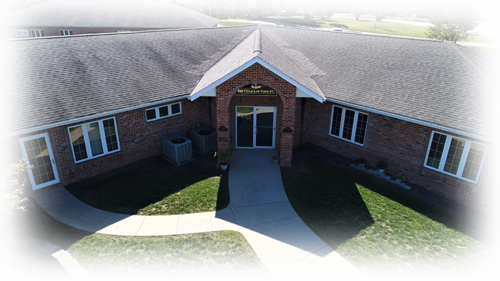 It has been my experience that Mr. Timothy Cisar knows the law and has the resources and experience to successfully defend cases in the areas surrounding The Lake of the Ozarks. He can be depended on and trusted to do what is necessary. Thank You Tim for all of your help over the years! Cisar Law Firm - Great People - I won't use anyone else . 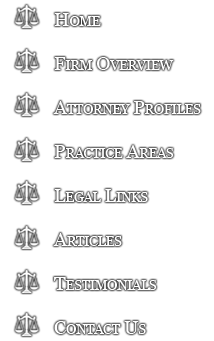 . .
Cisar Law Firm Lawyers are the Best in the State if not more . . .
Tim Cisar Esq. Attorney(s) at law, He and his firm are the best Lawyer's in the state if not more than that.... Ive been through a lot with this Man and a few members of the team, I've been friends with and known Tim for over 15-20 years, and he's always been Awesome with anything that I Have Gotten Myself into over the years and he's always been there for me as well as his Staff... I believe personally that there is no Better Lawyer in the State and He's a Straight Forward Man, He ABSOLUTELY Will tell you what he says he can and can't do... But even though he may say that he can't get to your case, He has Several attorneys who are Very Well Trained and are highly intelligent in the Ways of the Law.... I'd love to be able to give him 10 stars out of a scale from 1-5 but I'm going to let u form your own opinion, DO yourself a favor and don't forget to call and set up a time to meet with him... He takes payments as well. I worked a charity years ago and was in a hurry because we had an auction already in progress . . . I came in jumped up on a table and started selling . . . I felt a hand on my ankle, looking down I saw a man holding me in place (a large man..). I thanked him and he said "Do you need anything" . . . I responded "No, but thank you" He insisted by saying, "Anything you need, ever . . .
A year or so later a friend found himself on the wrong side of the badge. He asked for my help . . . so I called the hand on my ankle . . . I explained that his client wouldn't have much money..he said "If your in I'm in" . . .
Three years later, charges were dropped and dismissed. My friend texted me to share the news, he said for the first time in 3 years, he was spending the day with family, and getting some sleep . . . If you Google attorney it says, "A lawyer (also called attorney, counsel, or counselor) is a licensed professional who advises and represents others in legal matters. Tim (Timothy R. Cisar) my definition is friend/humanitarian. Look no further for a solution, Tim Cisar is your attorney. 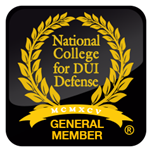 Every state has great criminal defense attorneys. Lake Ozark has Tim Cisar. If you are looking at some serious penalties, you will want to have his criminal defense team fighting for you. Tim Cisar has a beautiful office with excellent staff and the representation of my son caused a quick dismissal of his charges. Within a few months he had eliminated the reason my son couldn't proceed with his career. Look no further for a solution, Tim Cisar is your attorney. I am grateful to have such kind, understanding, and capable representation. Tim Cisar has always been a very well respected and established Attorney of Law . . .
"Tim Cisar has always been a very well respected and established Attorney of Law in this area for as long as I can remember. He has helped to establish many new lawyers as well, and eventually they have achieved their own Firms. Thank you all for your time and consideration, along with your respected practice of Law that you all share." Tim has my back . 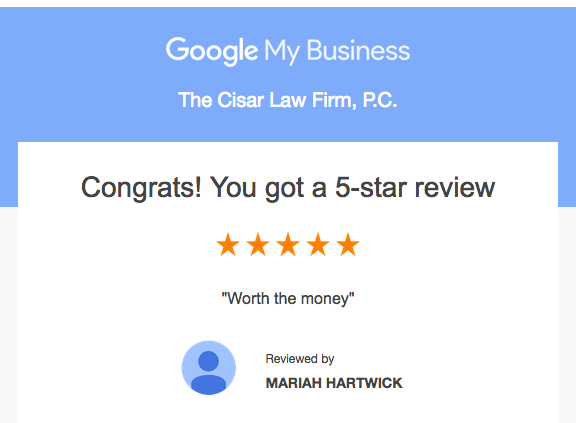 . .
"Cisar Law firm has been there for me many times. I am getting ready to undertake a divorce now. My heart is heavy and full of worry for what I have to do, but at the same time I feel relieved knowing Tim has my back." I cannot say thank you enough . . .
"I cannot say thank you enough to Tim and his firm. I was facing multiple charges (including felonies) and things did not look good. But Tim was able to work his magic and make everything go away. It was absolutely amazing. And the entire time the charges were pending, he and his staff kept me updated. I never had to question what was going on in my case, they kept me in the loop every step of the way. Hopefully you'll never be in my situation, but if you are, then the first call you need to make is to Tim Cisar." From amongst the attorneys I have experienced in my turns of different court rooms, from adoption custody to civil & criminal case's, the Cisar Law Firm has delivered great appreciation to my comfort each and every time and allow me to add that not only does he spend the equivalent time his case's are in need of for a great out come, I'm amazed of my expense in the end. :) I value this law firm 100% satisfaction, I have real friends on the other side of the fence when I make that call, I will always be in good hands in the future with Tim Cisar, although with great respect, hope I don't need an attorney, but if I do, guess who I'll call! YUP your right, Thanks for reading. Grant and Tim do a great job! Easy going, understanding, caring, with a professional attitude! Need an attorney? Look no further! 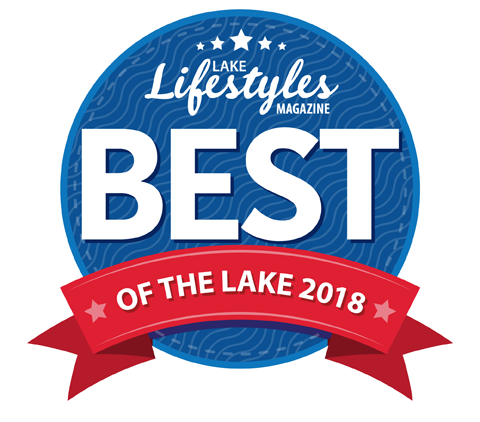 This is the best law firm in the state with the best lawyers. You guys are awesome! I was 19 facing a DWI where I blew for the arresting officer well over the legal limit, he also found a beer can in my car. I didn't answer any of their questions and called Tim Cisar. Just after a month of doing so I was pleading guilty to a failure to maintain my lane. Tim Cisar has my recommendation. 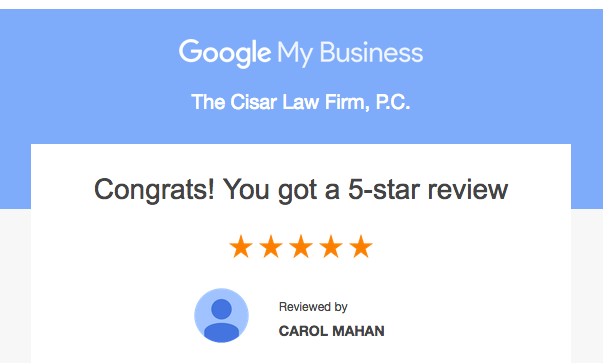 I would recommend Cisar Law Firm to anyone! Tim, thanks for representing me through my DWI-golf cart case at XXXX. I would recommend your Law Firm to anyone. Have a happy and healthy 2015. Diligent...all evidence is subject to critical review! I was from out of town and did not have a clue as to who I should talk to about my legal issue! When I questioned people in the area who worked as attorney's and courtroom personnel, one name continued to come up; Tim Cisar! He came highly recommended and I was soon to find out why. Upon close examination of the evidence put forth against me, Mr. Cisar found an omission which set the stage for a very favorable decision on my behalf. During the entire process Mr. Cisar promptly answered questions posed in e-mails as did his support staff. He is an individual who takes his profession and welfare of his clients seriously, while at the same time he is comfortable with providing humor ...often at his own expense. His perspective on life is refreshing...empathy for people tempered with the reality of the legal process! Cisar Law Firm handles all areas of law including car accidents, truck accidents, motorcycle accidents, wrongful death, products liability, Miller county lawyer dwi, Camden county lawyer dwi, medical malpractice, nursing home injuries, slip and fall injuries, insurance bad faith, DUI/DWI, drug possession, drug trafficking, probation violations, assault, theft crimes, traffic charges, misdemeanors, felonies, and more! © 2007-2019 Cisar Law Firm P.C.